Yu-Gi-Oh! TCG Event Coverage » YCS Salt Lake City: Dragon Duel Champion! Home > 2018/03 - Salt Lake City, UT, Yu-Gi-Oh! Championship Series	> YCS Salt Lake City: Dragon Duel Champion! 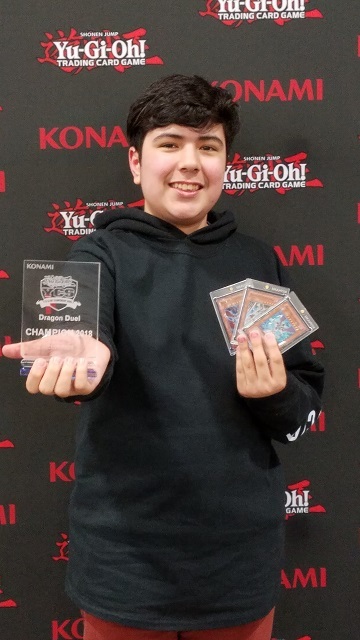 Diego Diaz from Las Vegas used his True Dracos to defeat Austin Marden in the Dragon Duel Championship Playoff and become the Dragon Duel Champion of YCS Salt Lake City 2018! YCS Salt Lake City: And the Winner is… YCS Salt Lake City Top 4 Duelists!